From an award-winning author whose debut story collection received unprecedented praise, comes an elegant novel about mothers and daughters, secrets and silences, and familial bonds in a culture where custom dictates behavior. 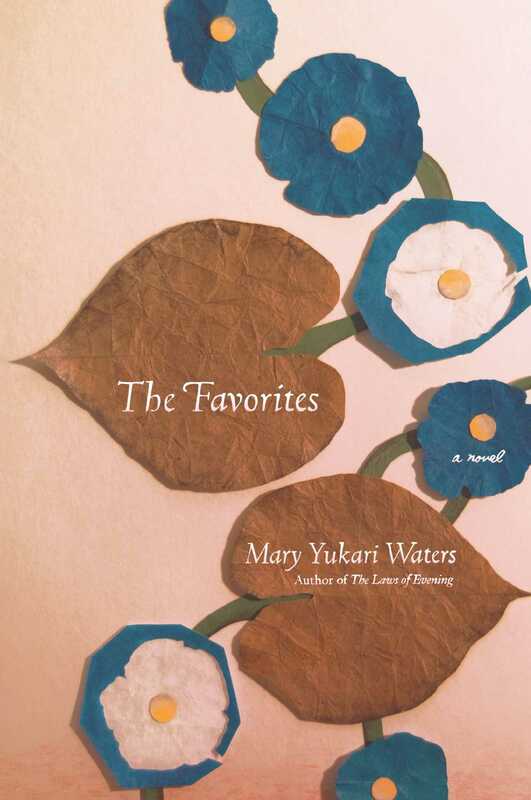 In her exquisite first novel, Mary Yukari Waters explores the complex relationships among three generations of women bound by a painful family history. Fourteen-year-old Sarah Rexford, half-Japanese and half-American, feels like an outsider when she visits her family in Japan. She quickly learns that in traditional Kyoto, personal boundaries are firmly drawn and actions are not always what they appear. In the midst of her acculturation, Sarah learns of a family secret. During World War II, her grandmother was forced to give up one of her daughters for adoption. The child was adopted by the grandmother’s sister-in-law, and the siblings were brought up as cousins, growing up on the same lane where both the biological and adoptive mother lived. Even into the present, the arrangement is never discussed. But as Sarah learns, its presence looms over the two houses. In this carefully articulated world, where every gesture and look has meaning, Sarah must learn the rules by which her mother, aunts, and grandmother live. Delicately balancing drama and restraint as only few writers can, Waters captures these women—their deep passions and tumultuous histories—in this tender and moving novel about the power, beauty, and importance of mother-daughter relationships. This reading group guide for The Favorites includes an introduction, discussion questions, ideas for enhancing your book club, and a Q&A. The suggested questions are intended to help your reading group find new and interesting angles and topics for your discussion. We hope that these ideas will enrich your conversation and increase your enjoyment of the book. In Japan during World War II, a young mother is forced to allow her sister-in-law to secretly adopt one of her daughters. This arrangement is rarely discussed but its presence looms heavily over the relationships between the two houses; it strongly influences the emotional development of the two girls who grow up knowing which questions are better left unasked. Decades later, when Yoko Rexford and her half-Japanese and half-American daughter Sarah return to Kyoto to visit, Sarah learns about her family’s complicated past. In this carefully articulated world, where every gesture and look has meaning, Sarah must learn the rules by which her mother, aunts, and grandmother have lived their entire lives. She also discovers what it means to love and to be loved. Examine the characters of Sarah and Mrs. Rexford. How do their personalities differ? Does the book offer any explanations for how a daughter could turn out so differently from her mother? In what ways are the two women similar? Sarah's opinion of her mother transforms during their summer spent in Japan. What causes this shift? Would it have happened naturally as she grew older, or was their trip the main cause of this change? Sarah is a mixed-race child born in Japan. Her white skin, brown hair, and freckles make her look very different from her peers, and she often attracts inquisitive stares. How does she cope with this attention? What other challenges does her mixed heritage present? For a scene that shows Sarah negotiating cultural differences, turn to page 74, where she plays "American Emotions" with her Japanese cousins. Mrs. Kobayashi has three daughters, born under three very different circumstances and with three different personalities and lives as a result. Examine how the daughters differ in their life choices and how their distinct childhoods may have influenced the decisions they make as adults. Shortly after becoming a Jehovah's Witness, Mrs. Izumi tells Mrs. Rexford that Jehovah "feels identical love for each one of his children." Mrs. Rexford remarks that "it seems kind of impersonal" (pages 100–1). Why might Mrs. Izumi be drawn to this religion while Mrs. Rexford sees it as impersonal? On page 49, young Sarah observes Mrs. Rexford and wonders, "How did it feel to be her mother, to look up at a tree and be transported back to all those previous lives?...Something unfamiliar stirred in the girl: an inarticulate feeling, diffuse and layered like the groundswell of an orchestra. She knew it was an adult emotion, one caused by the passage of time." Examine the role that memories play in the novel. What memories are important to Sarah and Mrs. Rexford and what emotions do they invoke when recalled? The term “favorite” refers to different women throughout the course of the book. What does it mean to be a favorite, and how does a desire for this type of approval affect Mrs. Izumi? How does it shape Mrs. Rexford? Discuss how Mrs. Asaki also desires to be seen as a favorite. Is it possible to go through life without craving this level of preference from your parents or children? Toward the end of the book, Mrs. Kobayashi tells Sarah that "romance isn't just between men and women…It's a state of mind, I suppose. It may be beautiful but it comes with pain. And sacrifice. Not just for yourself, but for others around you" (page 257). What sacrifices do you think she is referring to? How does this view of love explain Mrs. Kobayashi's earlier actions in the book? In what ways do Mrs. Nishimura and Mrs. Rexford make similar sacrifices for love? What role do men play in this novel? Why do you think their influence is so limited? "This was a dangerous time for both of them; they were old women and they had been holding things together for a very long time" (page 189). This passage near the end of the book describes an intimate moment between Mrs. Asaki and Mrs. Kobayashi. What "things" is the author referring to? Do you agree that it is dangerous for the two women to let them go? The book is divided into parts, which allows us to see inside the heads of different characters. How does this technique add to or detract from your understanding of the story as a whole? By the story's end, do you feel you are able to empathize with each of the characters and the choices they've made? Look up photos of the Kyoto temples described in the book and bring them in to share as a group. You can find them at www.sacred-destinations.com/japan/kyoto-buddhist-temples.htm or by picking up a travel book at your local bookstore. The novel is filled with memories of Sarah’s childhood in Japan. Share some of the memories you have from your own childhood with members of your book club. How does it feel to recall these moments from your past? There are many aspects of this book that seem autobiographical. 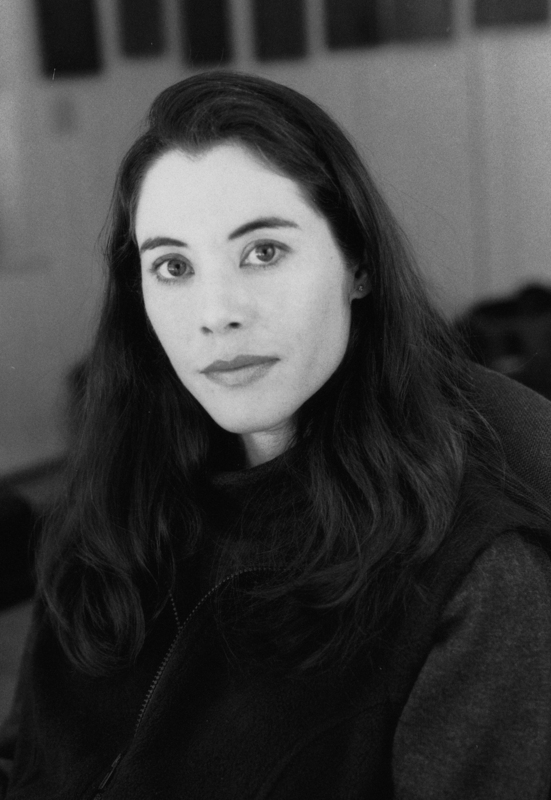 You and Sarah Rexford are both daughters of a Japanese housewife and an American scientist, both were born in Japan and moved to the United States while still children, both majored in economics, and both lost your parents before the age of thirty. Are these circumstantial similarities or can we infer a greater connection between you and Sarah? Mothers’ and daughters’ desires for approval are a major theme of The Favorites. Would you say that this desire has played a role in your life as well? If so, which character in the book are you most similar to in terms of dealing with this emotion? This desire is a big part of the human experience and I imagine everyone has experienced it on some level. When I first started writing this book, I naturally gravitated toward Sarah because her situation was based so closely on mine. But as I went further, I found that each of the other characters tapped into an equally authentic part of my emotional makeup. That was a surprise to me, on a personal level. At this point I have a hard time picking one character over the others – which is not at all the way I was expecting to feel. What initially attracted you to writing this story about mother and daughter relationships? Interestingly, this wasn’t the original attraction. I was interested in the dynamics of interfamilial adoption, where both biological and adoptive parents could coexist on the same street. The psychological complexity of such a situation fascinated me to no end. The mother and daughter dynamics came in later, almost in stealth mode. I suppose it was inevitable, because it’s always been such a powerful force for me personally, as well as for the women in my family. You've mentioned in prior interviews that you are fascinated by people who have faced adversity, which sometimes makes people mean or cynical and sometimes makes people stronger. How has adversity affected your own life, for better or worse? I haven’t had that much crushing misfortune: no wars, no terrible diseases, no grinding poverty. So while I’ve observed other people affected by great tragedy, the verdict isn’t in for me yet. Maybe that’s what accounts for my fascination – the wondering about what I’m made of, and what type of person I will end up to be. In the book, Sarah plays a game called "American Emotions" with her cousins. Where did this idea come from? From childhood experience. I played it with some neighborhood children, and that game had a surprisingly long lifespan that lasted even after I went away. Maybe it was the thrill of being a little bit mean, as well as the constant stream of inspiration in the form of new television reruns. You grew up in Japan. What are your strongest memories of that period of your life? It’s hard to choose – there are so many! One of the pleasures of writing this novel is that I was able to weave many of them into the story. In general, my strongest childhood memories are linked to smell or sound. I think the best memories are impressionistic, hard to define emotionally; an instant in time, when you catch a whiff of cafeteria school rice or burning leaves, ends up being more viscerally powerful than a linear event such as a school ceremony or a birthday. It’s interesting, I think, that one’s strongest memories (or at least mine) are often moments, or moods, or scraps of dialogue, that weren’t remotely interesting or significant at the time. Can you talk a little about being a writing teacher? What classes do you teach? Do your students ever influence your own writing? Right now I’m working at a low-residency MFA program (Spalding University) and a traditional MFA program (UCR at Palm Desert). I’ve been teaching writing for a good many years, and I really, really enjoy it. Although I read a lot of great student work, I can’t say that my students have ever influenced my writing. My own writing sensibility, for better or worse, is pretty firmly ingrained (that’s one benefit of starting to write later in life, after you’ve lived a little and are more in touch with yourself), so my style is not that easily swayed by whatever I happen to be reading at the time. You’ve written many acclaimed short stories. What made you decide to write a novel? What is different about the process of writing each? Which is easier for you? Which do you prefer? I think I would feel incomplete as a writer if I’d never tried to write a novel. I enjoy novels, and I read them for pleasure more than I do short stories, so it was a matter of time until I worked up the nerve to write one. Since this was my first stab at novel writing, it felt psychologically harder – it was such a long process and it dragged on for years, without the instant gratification that comes with a shorter piece. Apart from that, there wasn’t much difference in the technical aspects of writing, which was a relief. At this point in time, I think I’d like to try writing another novel because I’m still new to this form and there’s something heady about the challenge. You have completed your first novel, what's next? Are there any new themes you wish to explore in your writing? I’m working on a second novel. Yes, I do have some themes in mind that I’d like to explore, but none of it is set in stone yet, so I’ll say no more for fear of jinxing myself.